Your dream home in paradise - modern 5 bedroom villa is simply everything you could wish for. On 12 are of Freehold land in one of the most desirable areas of Bali. 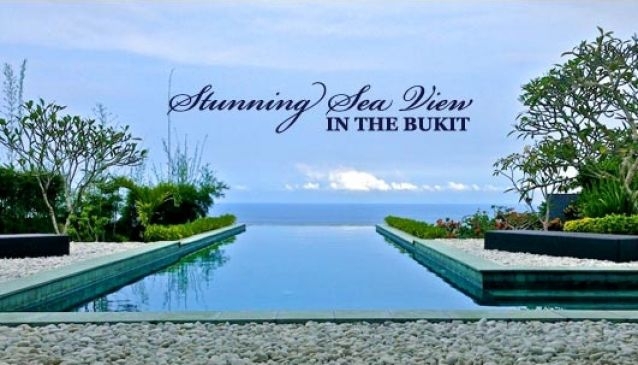 2 storeys with a 16 meter infinity pool overlooking the ocean. Every bedroom en suite, huge living areas upstairs and downstairs and a beautiful kitchen. The balcony is the perfect place to relax and unwind, with breath-taking views. Facilities: Swimming Pool (16m x 3.5m) Helper's Quarters, Garage, Parking, Telephone, Fully Furnished. Lot Size: 1250 SQM - House Size: 600 SQM - House Faces: South - Location: Bukit Peninsula, South Bali Peninsula, close to surfing and sunning beaches. Many restaurants in vicinity. Only 20 minutes from Ngurah Rai Airport.